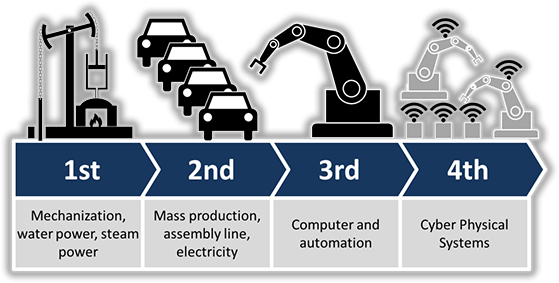 Industry 4.0 describes a new, emerging structure in which manufacturing and logistics systems in the form of Cyber-Physical Production Systems (CPPS) intensively use the globally available information and communications network for an extensively automated exchange of information and in which production and business processes are matched. 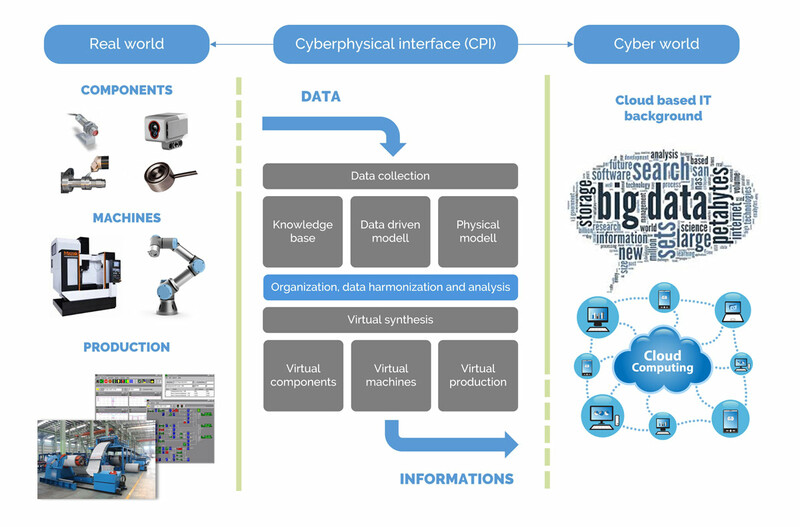 The cyber-physical producing systems developed according to the above mentioned concept help not only in the production planning and optimization but support the maintenance management functions as well. The products’, resources’, raw materials’ and components’ relevant status information is available, as the characteristics of each processing phase is logged and stored in a common database, the differences are recorded continually and then they are transmitted to the privies through our automated reporting system. The loss of quality, the machine downtime, the maintenance needs and the changes occurred in the production circumstances - as information - are consistently and rapidly available for the decision makers. The continual monitoring and forecast of the status changes of the aging and quick-consuming, exposed-to-heat parts and of the products bound to usage time can reduce the downtime, and the efficiency of the resource usage is increasing. Integration of our solution can significantly improve the manufacturer’s competition position, their machines proper operation in accordance with the industry recommendations (Industry 4.0) and their services. They can help their customers to get advantage in field of the quality assurance and of the real-time process control. In addition, the machine supplier to the technology and the manufacturers using the technology can get advantage as well, they must have such a solution in the rivalry against the competition, which raise them from the large crowd and they can become reliable supplier in long term. The I4Log Industrial Module and each product based on this module are perfectly adaptable to any production line, where data is generated about the production, or data can be generated by post-solutions. The product to be developed can support the SmartFactory IT side, thus in accordance with the Industry 4.0 recommendation/research aims it provides production line data collection, data analysis and decision support in the field of quality assurance, maintenance optimization, energy/material usage. In addition providing intelligent data processing methodology it makes possible the effective communication between the automated production environment, production lines, machineries and information technology. Our main aim is providing such a framework based on our previous developments, which supports the nowadays existing digitalized manufacturing processes and which provides solutions for the manufacturing units in different industrial areas according to the industrial recommendations. The majority of the production equipment still records the manufacturing and technical data and in many cases they communicate the data to the world in unique format, but the loading them into a unified database and the analysis of their combined effects are not solved. The real added value arises when these data – after removing the irrelevant parts – are connected and used during the decision making trending to improve the processes. The detecting and forecasting of the error events decreases the rate of the defective product produced on the production lines. The product identification, the manufacturing program, the quality standards and the parameters measured during the production provide together the effective error detection. The complex data processing offers product quality supervision. The logging of the material flow and the production lifecycle provides continuous transparency. The environmental parameters affect often the product quality. Objective monitoring offers better effectiveness. The processing of the fact data created during the production is able to anticipate the needs for the maintenance.